In India, the worship of the mother goddess is a living tradition which has existed in the Indus valley civilization, for more than four thousand years, since well before the Aryan migration and the advent of Vedic religion. Developing and broadening through the millenia, it has also been adopted and incorporated into Buddhism, and has grown into a rich and vibrant cult which is practiced today across all castes and divisions of Hindu society. The rituals surrounding worship of the goddess vary widely throughout India and the Himalayas, but they invariably include pilgrimages to temples and sacri.ces to the goddess as well as the creation and perception of images and the utterance of sounds. by Karttikeya, the god of war, Ganesha, the lord over all obstacles, Saraswati, the goddess of music and learning, and Lakshmi, the goddess of wealth. 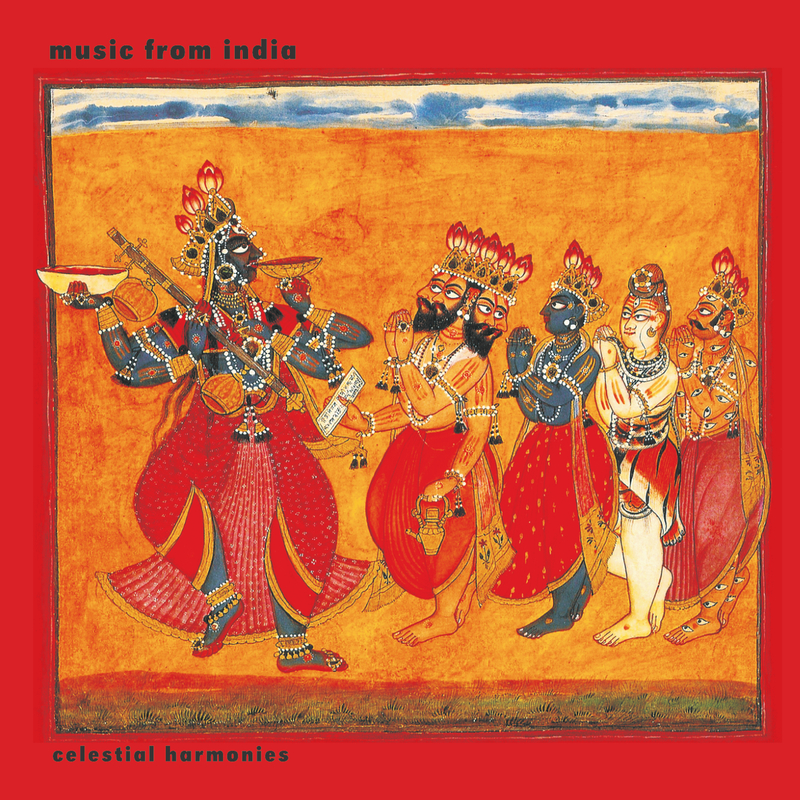 This CD contains a wide variety of selections, ranging from the bamboo .ute bansuri to sitar, harmonium, percussion, female and male vocals; the famous bells of the Durga temple in Varanasi are also heard as are acoustic/electronic sounds by David Parsons. This recording, and In Praise of the Goddess (13267-2) were inspired by and produced for GODDESS: divine energy - A major exhibition exploring the myriad imaginative expressions of divine female power in the art of India and the Himalayas at the Art Gallery of New South Wales in Sydney (13 October 2006 - January 2007) in cooperation with Radio Berlin Brandenburg (RBB), Berlin Germany. 1 Full Moon performed by G.S. Sachdev from Full Moon (17037-2) 5'25"
2 Hamari araja suno performed by Priyanka, Pt. Premkumar, Prashant and Nishant Mallik previously unissued 14'59"
3 Dhun performed by Krishna Chakravarty from Ananda (17046-2) 9'48"
4 Chautal performed by Pt. Ramji Upadhyaya and Ravishanka Upadhyaya previously unissued 10'07"
5 Jaya jaya jaya Durge performed by Pt. Premkumar Mallik, Ravishanka Upadhyaya and Rashmi Mallik previously unissued 11'53"
6 Arti Bells of the Durga Temple in Varanasi previously unissued 10'03"
7 Awakening Devi Durga performed by Aparna Chakravarty previously unissued 4'14"
8 Maitreya by David Parsons from Maitreya: The Future Buddha (13214-2) 11'59"